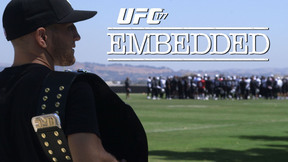 On episode #1 of UFC 177 Embedded, new bantamweight champ TJ Dillashaw and former belt-holder Renan Barao prepare in dramatically different ways for their highly-anticipated title rematch. 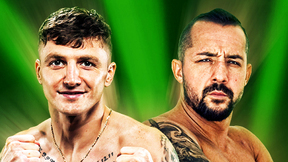 Dillashaw's fight week begins with news of a major shakeup, as Northern California endures its strongest earthquake in 25 years, centered just an hour away from his Sacramento home, and the host city for UFC 177. Undaunted by the damaging tremor, TJ uses high-tech therapy to recover from a grueling training camp. 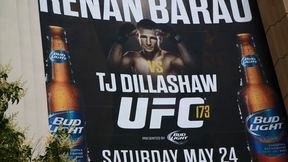 In the streets of Rio de Janeiro, Barao uses low-tech but highly effective training techniques to fine-tune his skills and endurance with the ultimate goal of winning back his championship belt.